May is a transition month – the last of spring and the beginning of summer. 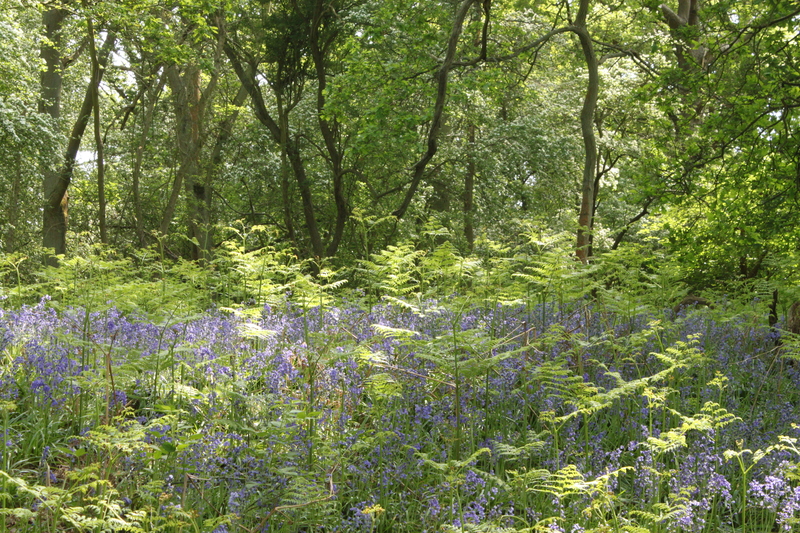 However it is the month that hosts the magnificent show of English bluebells. Over the years, the Spanish bluebell has been taking over in our gardens. 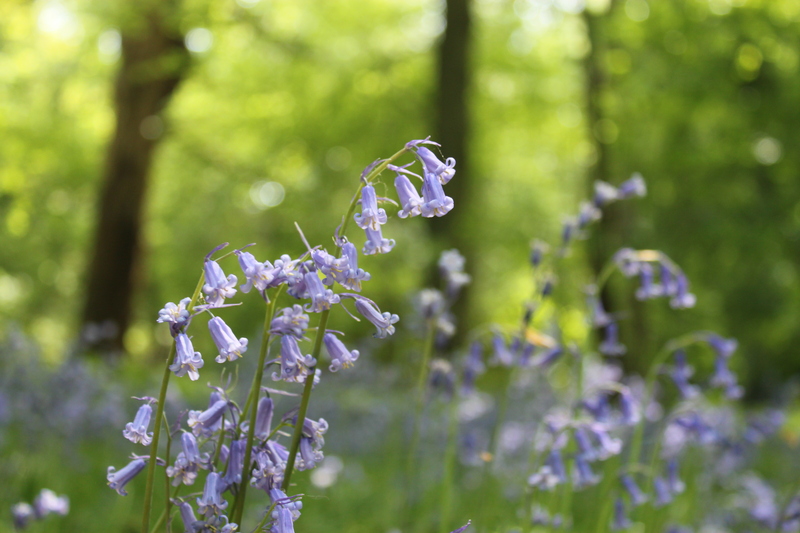 It is important to support our native species, the smaller but no less beautiful English Bluebell. Hyacinthoides non-scripta is a fantastic flower to plant in your garden. If you have a wooded area, liberally plant the bulbs and watch as these spread to create a wonderful carpet of scented blue. This delightful harbinger of summer goes particularly well with the lime green leaves of the fern Dryopteris which it naturally grows along side. Alternative ferns that can be used are Athyriums or Polystichums but the closer we can keep to nature the better. I am sure you will agree that the joy of seeing sunbeams penetrating a canopy of indigenous trees and bathing a carpet of bluebells is simply breath taking. The quintessential English woodland scene.